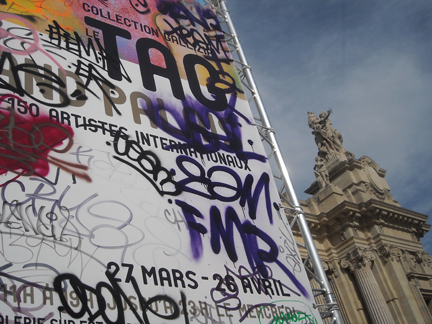 Under the glass-panelled roof of the Grand Palais, the Tag exhibition marks an important moment for graffiti. 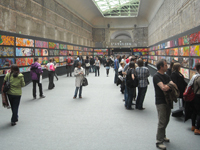 It’s the first time such a collection of street art has been housed in a neoclassical building, which is more used to displaying collections of fine art. 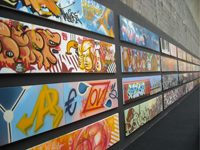 For one of the exhibitors, Richie Mirando, known as Seen or the Godfather of Graffiti this is an important moment in the history of graffiti. 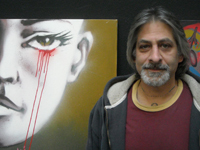 After being involved in graffiti for more than three decades, he explains that this is significant in the development of the art form. Richie, who grew up in The Bronx in New York City, thinks the exhibition is really making an impact. “Now that they can see it indoors, in this case on canvas, it will open their eyes that there is more to it,” he says. And amongst the buzz and clamour of visitors, Richie reflects on Parisian graffiti, which he says has its own unique style. Richie likes Paris so much he has opened his own studio, and currently sells his work direct to customers via his website Blkmarket. 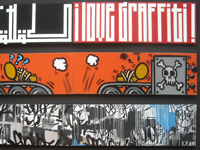 But now that graffiti has been accepted into the French art world, does Richie still have the desire to paint subway trains? And would he like to spray the Paris Metro?